After taking some much needed time off 'The Fam In The Morning' is back on the air at 93.9 WKYS in Washington, D.C. First on the show's agenda was to speak on the incident that sent shockwaves throughout the DMV and on social media. Check out the number of views of the following Facebook post. QuickSilva, Danni Starr & DJ 5’9 discuss the incident on air, apologizes and start the process of moving on. 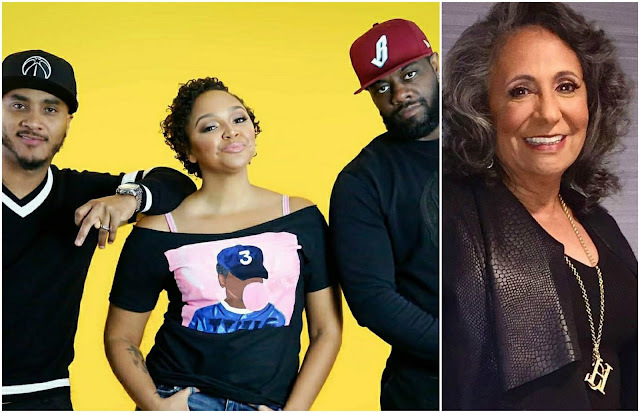 Right after the incident, Radio One founder, Cathy Hughes issued the following statement which encouraged the morning trio to resolve their differences as a family. Just wondering what that meeting was like with "Momma" Cathy. No doubt there was a lot of tears. Kudos to Cathy Hughes for intervening into this situation and providing a solution. Looking back at the raw emotion that that day produced; coming back together was the last thing anyone could ever had expected. Now that they are back, everything looks good.